What is Special Domestic Violence Criminal Jurisdiction (SDVCJ)? Does SDVCJ Make Sense for Our Tribe? Welcome to the SDVCJ Resource Center! 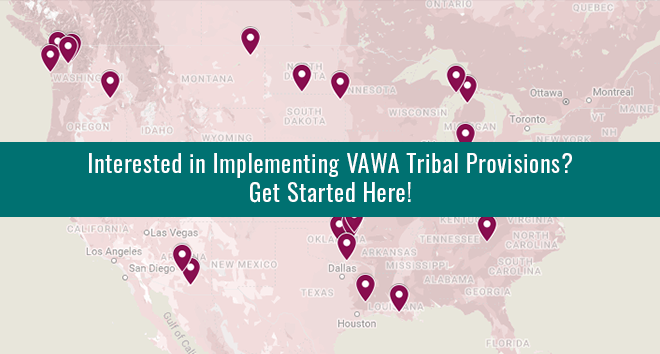 Interested in Implementing VAWA Tribal Provisions? Get more information about Special Domestic Violence Criminal Jurisdiction and learn whether it is right for you. › Click here to learn more. › Click here to check out our resource page. 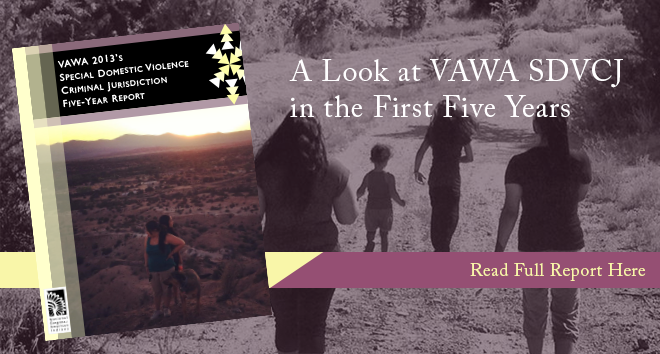 The 2013 reauthorization of the Violence Against Women Act (VAWA), included a vital reaffirmation of Tribal Nations’ inherent power to protect Native women from abuse by non-Indian partners by prosecuting those abusers in tribal court. 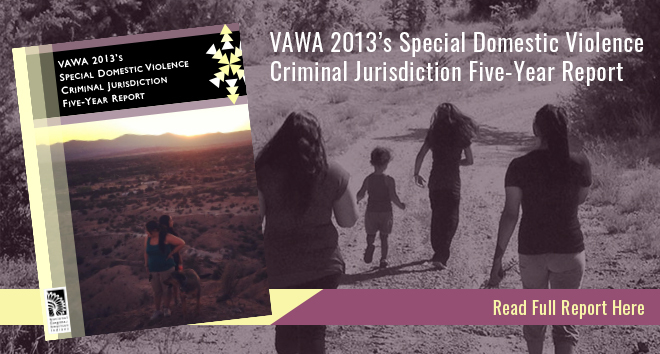 Tribal Nations across the country are utilizing this Special Domestic Violence Criminal Jurisdiction (SDVCJ) to bring more safety and justice to their communities. 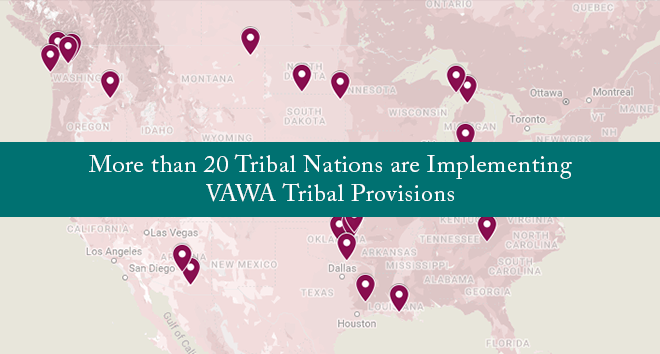 This site is a resource for tribal governments and organizations working to implement these laws and protections. Get started. This project was supported by Grant No. 2016-­TA-­AX-­K005, awarded by the U.S. Department of Justice, Office on Violence Against Women. The opinions, findings, conclusions, and recommendations expressed in this program are those of the presenters and do not necessarily reflect the views of the Department of Justice. 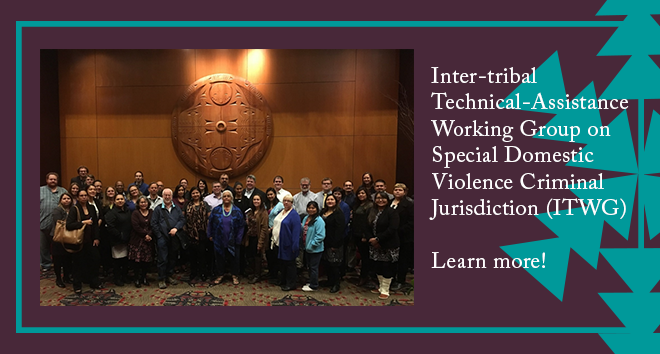 Thank you to the SDVCJ Partners: DOJ Office on Violence Against Women, Tribal Law & Policy Institute, and National Council of Juvenile and Family Court Judges (NCJFCJ). 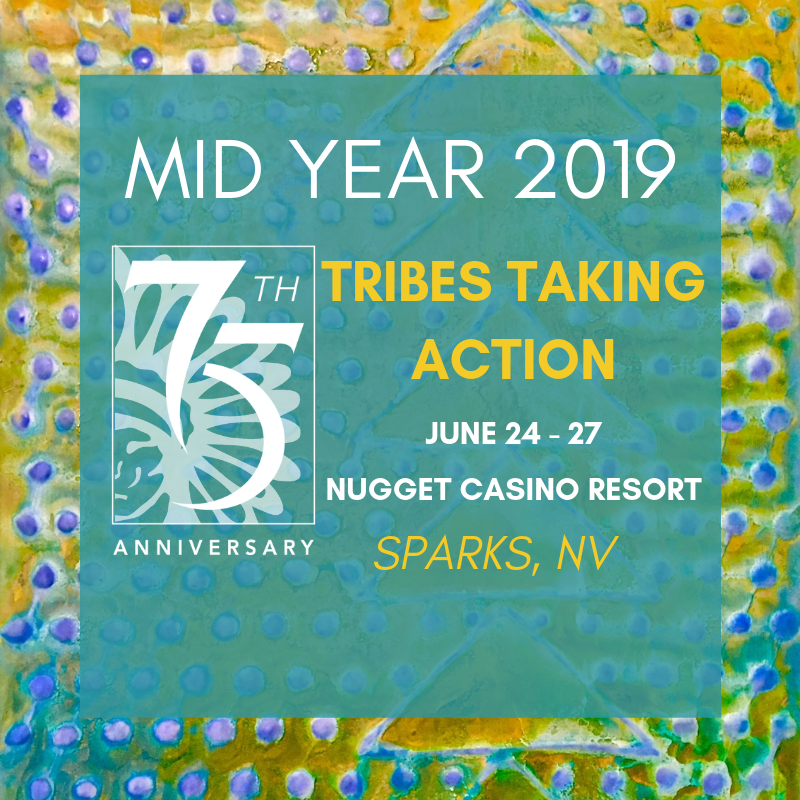 What can tribes do under the new law? When did the law take effect and will it expire? What must a tribe do to protect defendants' rights under the new law? What should a tribe do to get started?